Very big apartment with everything you need. Very friendly and super helpfull staff. Supermarket is next door as well as the beach. Apartment was next to the beach, rooms are very big and clean. 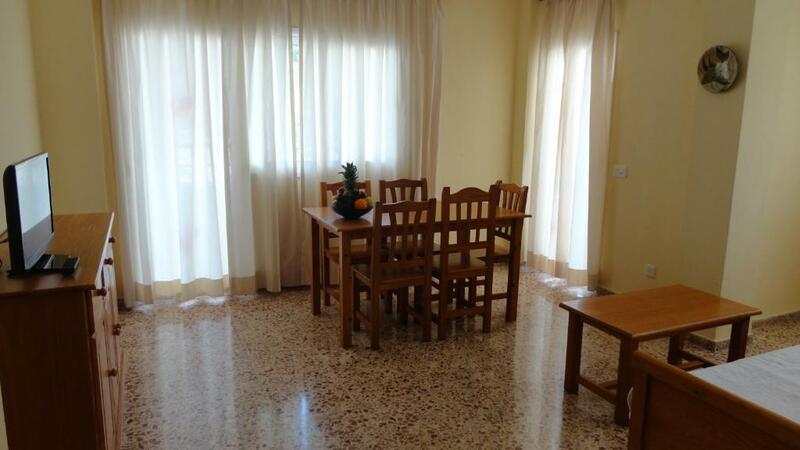 Location stunning, apartment very good, the reps for the owners were excellent. The beach area was amazing and we spent every day swimming, lifeguard on duty even in October. Plenty of places to eat and prices competitive although places where starting to close down for the end of season. Near to all the facilities and having lots of space with the balcony too! The staff were brilliant......very quick to sort any problems!! No fussy key arrangements!!! Thanks. 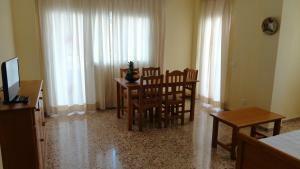 Perfect location in Cala Llonga , beach, shops , restaurants all very close to spacious apartment. Staff were very helpful. Amazing location with a view over the beach. Accommodating staff who helped out when my credit card had been retained by the machine on my outward journey meaning I was unable to pay as per the booking terms on arrival. Clean yet simple. 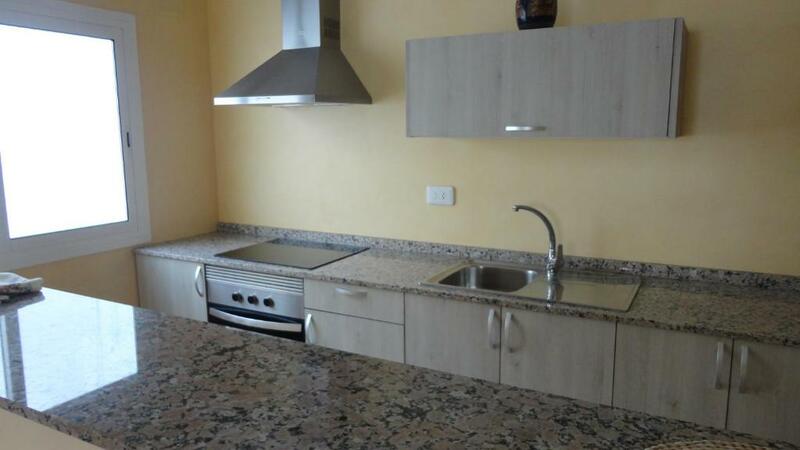 Easy to find, very nice location with sea view, big bathroom, near to the shops and to the super market. Lock in a great price for Apartamentos Cala Llonga – rated 8.4 by recent guests! The Apartamentos Cala Llonga overlook the blue-flag Cala Llonga beach. It has a restaurant and bar. The apartments are large and practical. They have 1 or 2 bedrooms, lounge-dining room, kitchen and bathroom. They also have a balcony. Air conditioning is available in some apartments, at an extra cost. The apartments also have a supermarket, gift shop, newsagent and bureau de change. The Golf de Ibiza Course is just 0.6 mi away. Ibiza Airport is about 11 mi away. When would you like to stay at Apartamentos Cala Llonga? 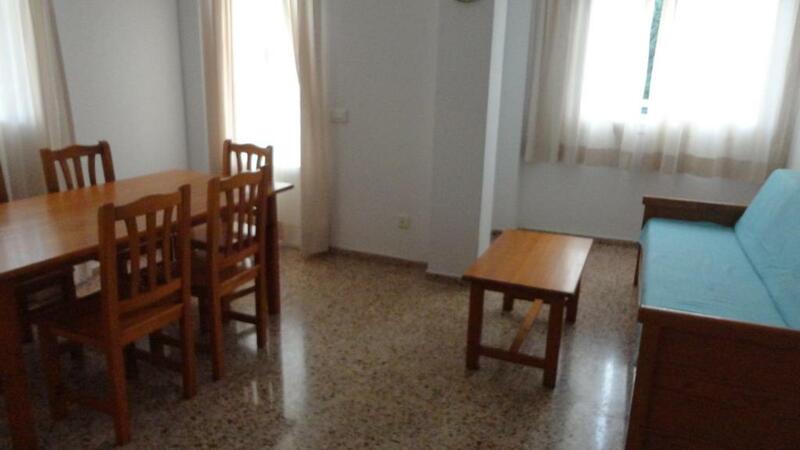 This apartment features 1 twin bedroom and a terrace. It comes with a lounge-diner with sofa bed, a kitchen and a bathroom. 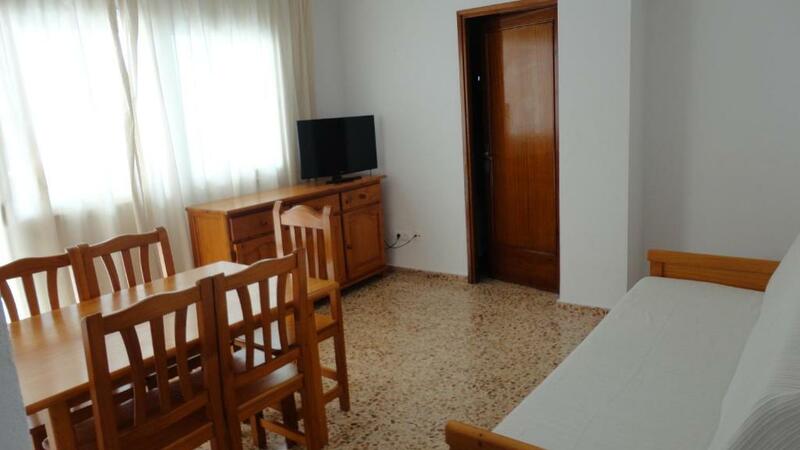 This apartment features 2 twin bedrooms or 1 double bedroom and a twin bedroom. It comes with a lounge-diner with sofa bed, a kitchen and a bathroom. It also has a terrace. House Rules Apartamentos Cala Llonga takes special requests – add in the next step! Apartamentos Cala Llonga accepts these cards and reserves the right to temporarily hold an amount prior to arrival. Please inform Apartamentos Cala Llonga of your expected arrival time in advance. You can use the Special Requests box when booking, or contact the property directly using the contact details in your confirmation. Unfortunately, as in many resorts, the apartments are tiled floors with thin walls and sound really carries and if you're unlucky to have inconsiderate neighbors then you'll have furniture being scraped across the floors and very loud, almost shouting, voices well into the small hours. We had this and spoke to the ladies in the shops nearby, who act as the apartment reps, who spoke to the offending selfish girls in the top floor apartment. There was some improvement but it does spoil it for others. Everything was good, although rentals we have used before have provided tea towels, washing up liquid from the start. Photos were a little misleading......not all balconies were so open!! Air conditioning comes at an extra cost . No air conditioning. Temperatures peaked at nearly 40 degrees in our room overnight and this led to frayed tempers and serious sleep deprivation.. For the cost of the apartment, which compared to similar properties in mainland Spain on the Del Sol, it was expensive. Even more so given the basic yet adequate facilities available. No air conditioning these days is a red card for me. I shan’t book anywhere without AC as the lack of sleep put a negative slant on my holiday. Location is superb right on the most beautiful beach. Staff very friendly and could not have been more helpful. Loads of cafes, restaurants, shops bars and supermarkets near by. Taxi to airport €32 and if you want to go to San Antonio it was €35. there is no elevator, which can be a challenge with a big suitcase. However, the nice room and host makes it all worth it!